This post is sponsored by VitaCost, which ships natural foods, dry goods, supplements and personal care items to your door. Thank you for supporting companies I believe in, as it helps me to continue developing recipes, and crafting unique content for you to enjoy. I hope you love these Dried Plum, Apricot and Coconut Breakfast Bars. Breakfast time in my family’s home is a hectic mix of half-hearted starts to the day, spelling tests, social media work and cleaning, all done over fried eggs and avocados, cinnamon rolls, toast and tea. Some days we’re out the door before breakfast, off to appointments, and we try to grab a smoothie or a muffin at the local deli. Despite the hectic pace of our morning (lack of) routine, I prefer a softer, easier pace – food is ordered, dishes are clean, breakfast is in hand, which is why I favor homemade breakfast bars – made the night before, and served up in the morning with tea and milk. 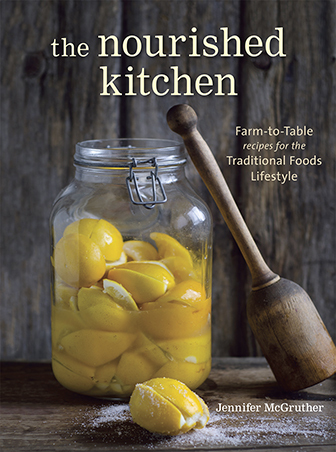 Between work, writing, promoting my new cookbook The Nourished Kitchen, homeschool and charitable work, I find myself swamped. Utterly, utterly swamped. One of the ways I take the time to slow down is to streamline my grocery shopping. This means that for meats, milk, eggs, vegetables and herbs, I lean heavily on routine deliveries from small farms close to me. For bulk goods, dry goods, as well as personal care items, I lean heavily on purchasing online through programs like VitaCost which will ship all sorts of goodies: natural foods and pantry items, natural cleaning supplies, supplements and natural cosmetics to your door for free (when you meet a $50 minimum order). Better yet, I set most of our items to a monthly subscription which offers a better discount and they arrive every month – I don’t even have to think about it. You can check out VitaCost’s program here. This way, there’s fewer last minute (time-consuming) trips to the grocery store, and there’s always the items I need lurking in my pantry to make quick dinners, and these breakfast bars which are slightly sweet, faintly chewy and iced with dried apricots and plums. 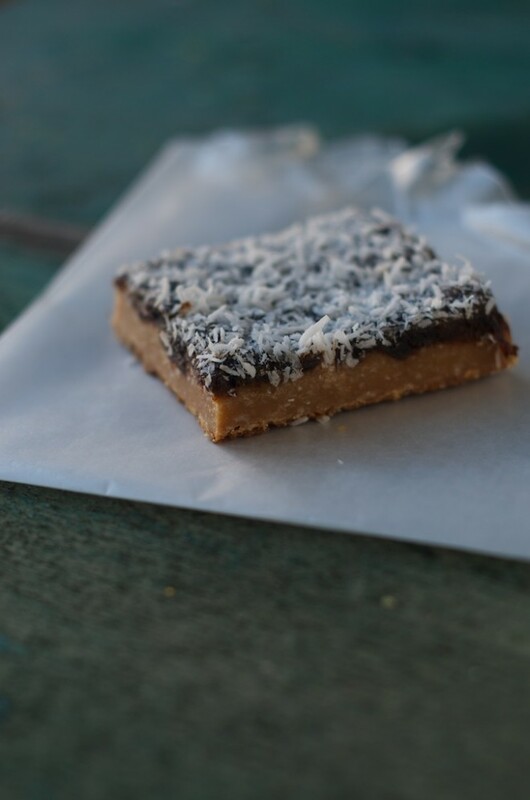 And they’re near perfect when we’re out of eggs, as the base of the bar is made from flour (any grain-based flour should do), shredded coconut (available here), coconut oil (available here) and coconut nectar (available here). Lightly sweetened with coconut nectar, an amber-colored natural sweetener with a texture and viscosity similar to honey, these breakfast bars are best made with night before or on weekends in preparation for the coming week when a need for quick breakfasts and snacks will doubtlessly appear. 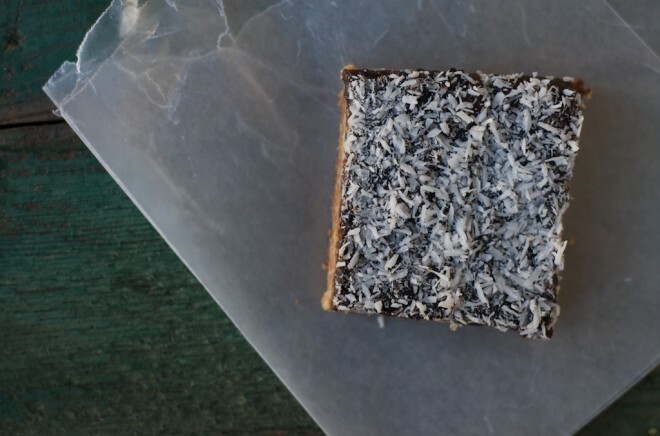 I tend to favor the emphasis on healthy fats for breakfast, as their concentrated energy helps to provide satiation throughout the day, and coconut oil coupled with shredded coconut provides that element to these simple bars. Frosting them with stewed dried fruit helps to elevate their sweetness just a touch while also provide trace minerals. Faintly sweet, these Dried Plum, Apricot and Coconut Breakfast Bars make for a great snack or a breakfast on the go. Heat the oven to 350 F. Grease and flour a 8-inch by 8-inch baking dish. Place the apricots and plums in a small saucepan, cover with water by about 1 inch and bring to a simmer over medium-high heat. Continue to simmer until plumped and softened, about 10 minutes. Drain the dried fruit, and place it into a food processor. Add the cinnamon to the food processor, and process until the dried fruit forms a smooth paste. Scrape it into a bowl, cover it, and let it rest at room temperature while you prepare the remaining ingredients. Stir the flour and shredded coconut together in a large mixing bowl with the salt. Work in the coconut oil and vanilla extract until the flours resemble cornmeal. Beat in the coconut nectar. The batter will become firm and sticky. Press it into the prepared baking dish with your fingers, and bake it for 20 to 25 minutes or until it reaches a caramel brown on top and stands firm to the touch. Set the baking dish on a cooling rack. Spread the dried fruit paste over the breakfast bar base while it is still hot, then sprinkle it with shredded coconut. Allow to cool completely, then cut into 2-inch squares. For your new recipe dried plum, apricot and coconut breakfast bars, can you please suggest a substitute for the coconut nectar? It is a remote item for me to obtain without expense of fuel and/or postage. Thank you. Agreed. I don’t usually make substitutions, but in this case I’d like to know. Jennine, I imagine you can use coconut milk out of a can or a box. The box will have less fat and be careful of the sugar and added stuff. I would use the canned. I have not heard of coconut being used as “nectar” but it is probably the same as canned. Coconut nectar is not coconut milk. It is crystallized coconut juice, basically a fruit sourced sugar. Substituting a fatty liquid for a sweet dry ingredient would be a mistake. Sweet syrups (maple, honey, agave) are good options, but add just a bit at a time so your end products isnt too soft. Crystallized maple, honey, agave or sugar cane juice would be more direct substitutes. 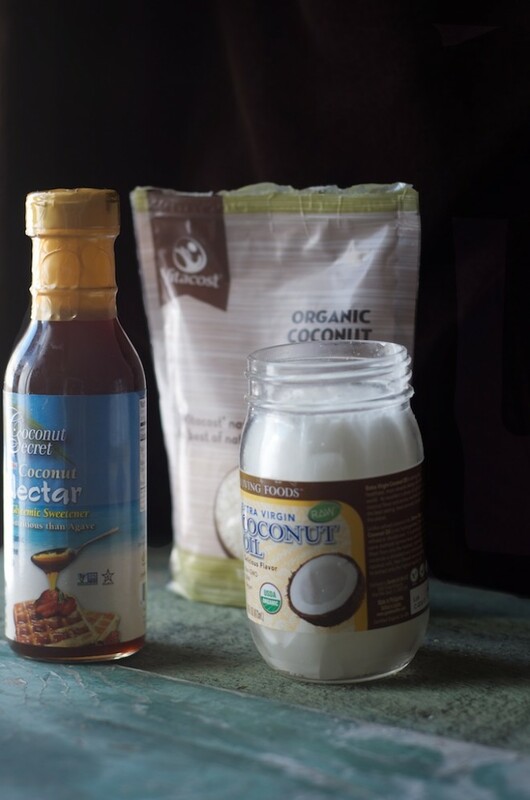 Rereading and noticed Jen’s picture: her coconut nectar does seem to be a syrup, so honey or maple would be the best sub. Here in the UK, i get crystallized coconut nectar! Coconut nectar is very thick and brown. It isn’t like coconut milk or oil. But it is sweet and so go easy on it…it is a type of sugar. Is there a way to eliminate the oil? Anybody have a good substitute for these bars? 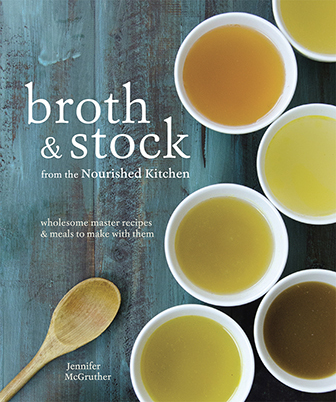 I preordered your cook book, and emailed you my receipt, but have not received any emails regarding the preview of the cookbook. Should I have received anything yet? Did you email the receipt to nourishedkitchen@tenspeed.com? If not, please do that. If you did, please check your spam folder and follow the instructions in the email. Hope that helps. How would you store these bars, and how long will they keep? My husband leaves for work really early in the morning and often skips breakfast– this looks like a great way for him to bring something for his commute. Thanks! I’d store them in an airtight container like a pyrex or tupperware, at room temperature for up to 1 week. just wondering– but if sulfer is good for us— why do we want to avoid sulfered dried fruits? I buy unsulphured because the flavor is far superior, and I choose to eat foods that are naturally rich in sulphur (eggs, kala namak salt etc.) which provides a good balance for me. These look wonderful! I was wondering if you have tried to substitute almond and/or coconut flour? I am on GAPS, and still do not so well with grains. Do you or anyone have a suggestion? Thanks! I would like to know this as well… thank you! This looks wonderful! Coconut nectar and milk are nothing alike. Honey or maple syrup would be sub. Canned coconut milk is like cream not honey. I am blessed to have a grocery store that actually carries coconut nectar! What a unique taste – not at all coconutty! More like a cross between a light molasses and honey. It was awesome in these bars. They are wonderful and no sugar!! I, too, wonder if the crust could be made with coconut flour. Did you try it at all when you were developing the recipe? Thanks for a wonderful treat! This recipe is unique to me. I have never used coconut nectar in my cooking, but you have inspired me to do so. The recipe is also very tempting and of-course nutritious. Have the crust part in the oven and house smells amazing! Didn’t have plums so I subbed Athena figs. Can’t wait to try them! Thanks again for all your inspiration and knowledge. Do you have any recommendations as far as where we can purchase unsulphured dried fruit online? I usually buy mine from Nuts.com – good bulk prices. We only have fresh apricots for the topping, could we cook those down and use them instead of the dried fruit paste? I think Jenny is right and honey the best substitute for the coconut nectar!